Buckling spring master race, UNITE! An IBM Model M made by Lexmark 52G9658. Seller’s picture. It was actually pretty dirty and a lot of the key caps were dirty. After using an air compressor to blow away the dust and removing + cleaning each individual keycap, it came out looking pristine! 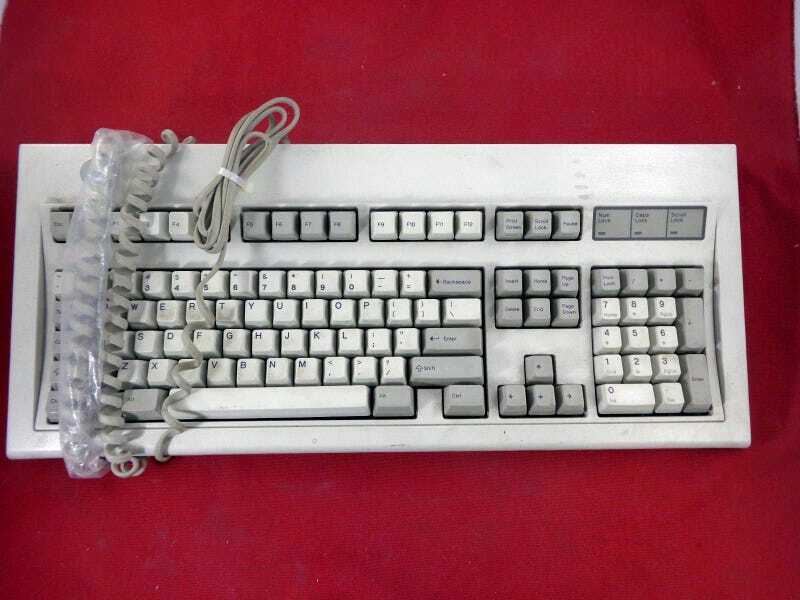 Apparently 52G9658 keyboards were identical to 1391401 (the most common Model M) except they were made by Lexmark, had a blue label, and a non-removable PS/2 cord. Also got these two PS/2 mice. Moreso for old stuff. all cleaned up as well! We had one of these in the late 90s/early 2000s. I think this is what made me get used to bigger ergonomical mice. Has rubberized sides and a thumb button.